TAKES GREAT PRIDE IN PROTECTING YOU AND YOUR PROPERTY WITH OUR HIGHLY PROFESSIONAL STAFF. Our President Founded Advantex Security in 2004. He, His Partners & C.E.O. 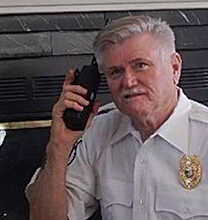 Together Have over 40 Years Experience in Law Enforcement and Security. We also Own and Operate a Security Guard Training School. President Ron Clark Taught at the Texoma Regional Police Academy For Seven Years and Is a Master Martial Artist and National Police Defense Tactics Instructor. Our Training School Teaches Armed Guards, Body Guards, Mechanics of Arrest, Pepper Spray, Private Investigations, Security renewal courses and Hand Gun Classes. We would welcome the opportunity to earn your trust and deliver you the best service in the industry. Please contact us for further information.